When we thought about Little E’s first shoes and where to get them from we immediately thought of Clarks. Why was this? It’s because we know they offer a good shoe fitting service. Your feet are important so getting the right shoe size is important and I think Clarks is the choice passed down the generations. BRANTANO asked us to try their children’s shoe fitting service, I thought nothing would put them to the test like a very active toddler. What I didn’t know is that BRANTANO works with Clarks. 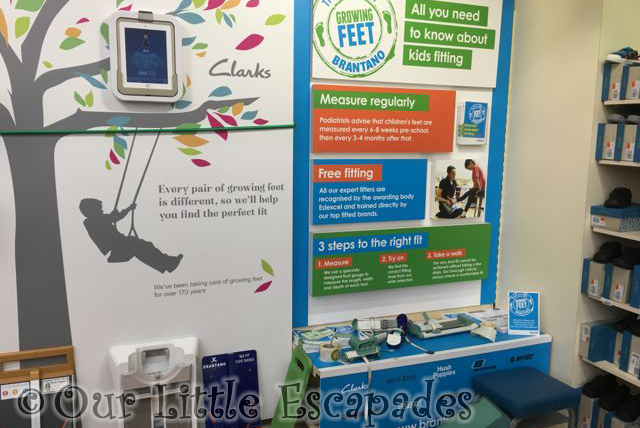 Their staff are trained how to measure children’s feet and they even stock Clarks shoes. When Little E had had her feet measured it was easy to select her some Clarks first shoes from the range BRANTANO had in stock. Everything is clearly placed in order of size and our sales assistant made sure the chosen shoes were the perfect fit. Little E even got the chance to run around the store to make sure her new shoes stayed in place. 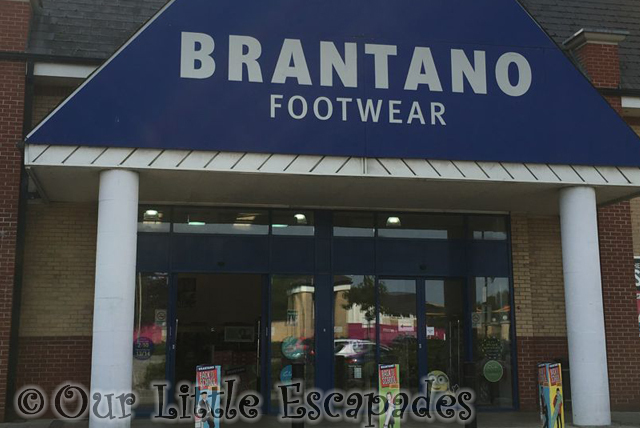 We loved our shoe fitting experience with BRANTANO its service and our experience there was the same as we have received at any Clarks we have visited. 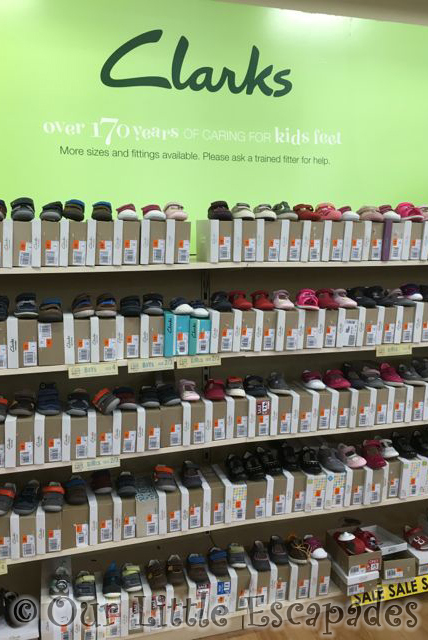 It will easily become our go to place for our children’s shoes. 1. How often should you get measured and from what age? 2. How often should I get my toddlers feet measured? She seems to have been the same size for a while and her shoes don’t feel tight. 3. Is there a maximum length of time children should wear shoes before taking them off for a bit, or does it not matter if you have breathable shoes? 4. After measuring foot size with a tool, what do the fitters look for when the customer tries on a shoe? 5. How can I tell whether the person fitting my DD’s shoes is doing a good job? 6. Why is shoe fitting so random? My DS has very wide, high feet, with very high arches, and it’s a complete lottery as to which shoes might possibly fit him. Some shoe fitters have tried to persuade us that a shoe where the Velcro barely touches is a good fit. 7. 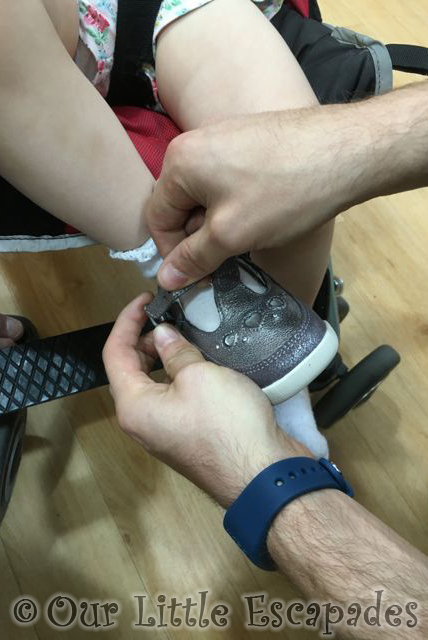 Do Brantano do special fitting sessions for children with autism or similar issues? 9. We will be walking to nursery throughout the year and I’m looking for a pair of shoes for heavy rain, potential snow and ice. What should I be looking for to know his feet and ankles will be protected as much as possible? As we approach autumn and winter, Brantano will stock a range of shoes and boots suitable for little feet in the cold and wet weather. 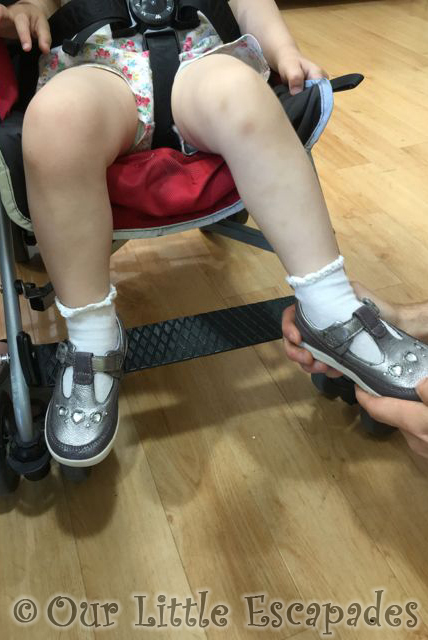 As with shoes, our expert fitters will measure and fit boots making sure they are a comfortable fit for your child. For very snowy days, we would recommend a snow boot (for warmth) and for rainy days, we would recommend a leather boot that has been protected (such as Clarks’ Crazy Dig or Diggy Guy, with a padded collar and flexible sole). 10. My mum always goes on about buying school shoes a size bigger so they last the whole school year, what damage could this do to their feet/comfort or is it a good idea? 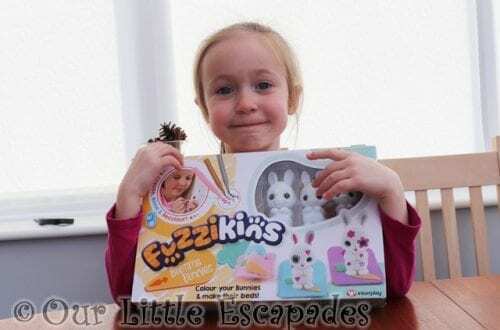 DISCLOSURE – We were gifted a pair of shoes from BRANTANO in return for writing this review. We always give our honest opinions, finding, beliefs and experiences.